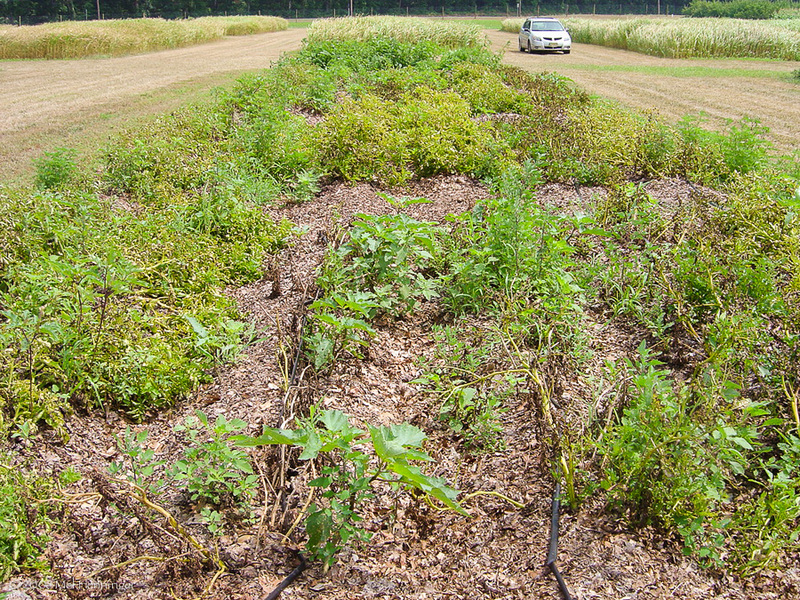 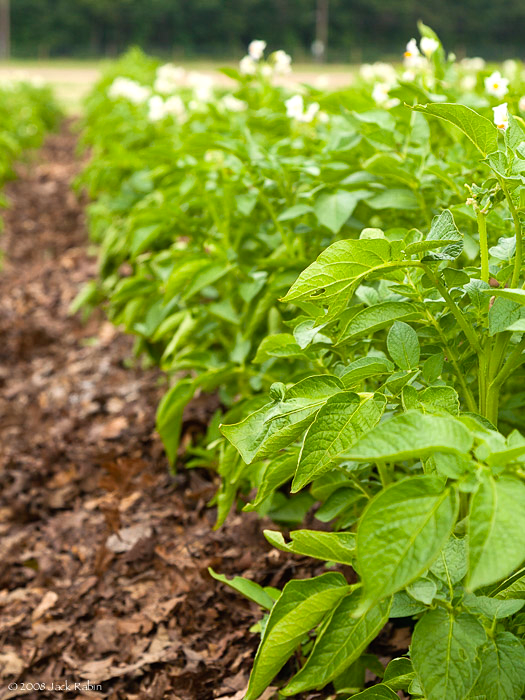 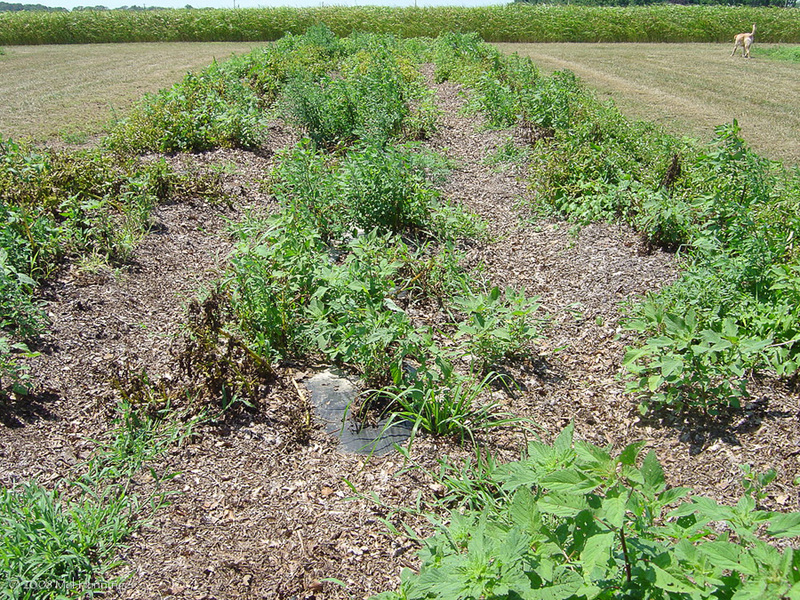 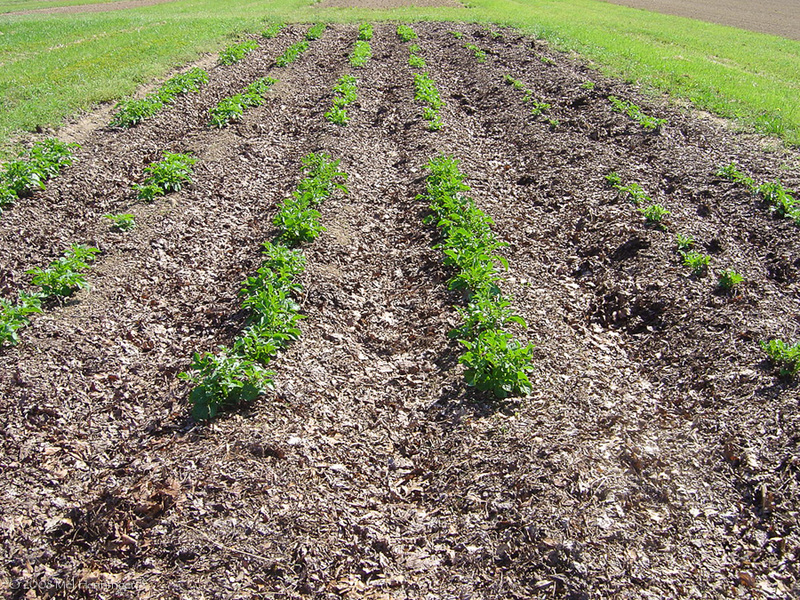 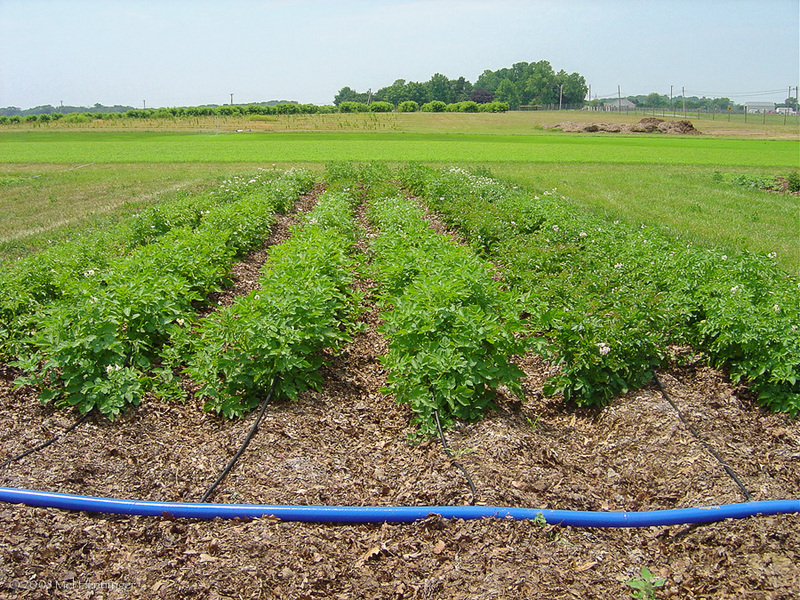 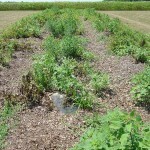 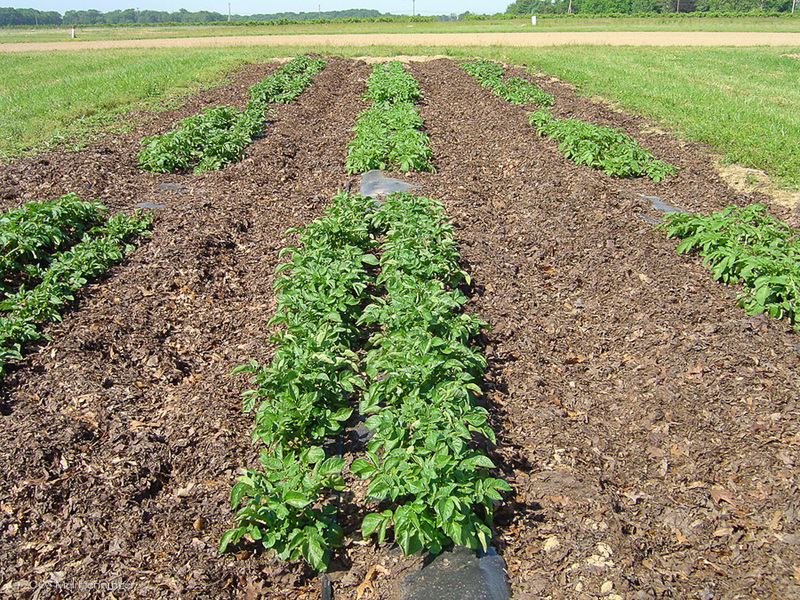 Shredded leaf mulch application is a worthwhile cultural practice for potatoes grown under organic conditions, resulting in an increase in marketable grades. 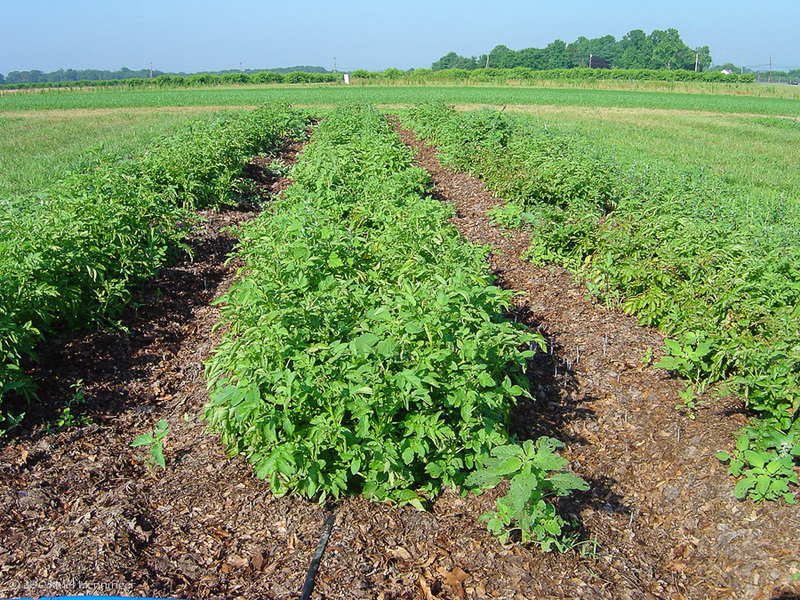 The beneficial results are seen not just because of higher yields, but because of the incidence of fewer culls (potatoes with undesirable size and shape). 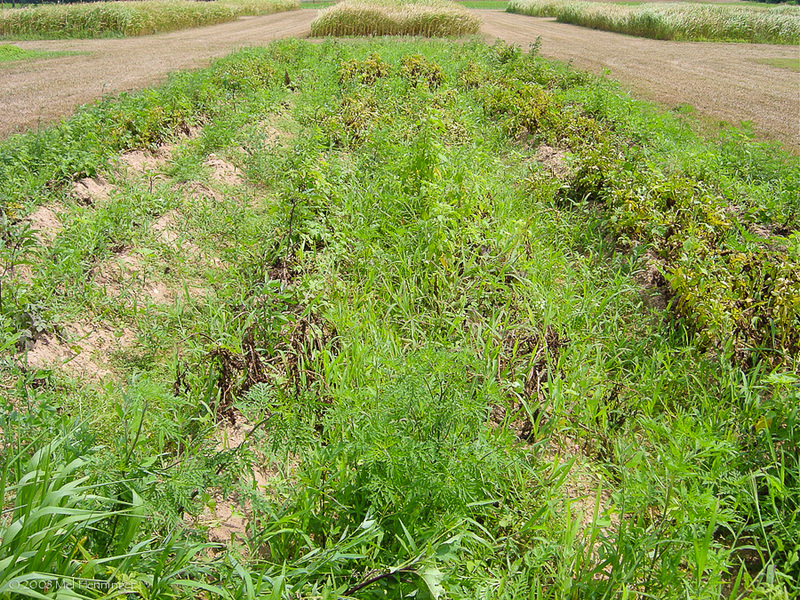 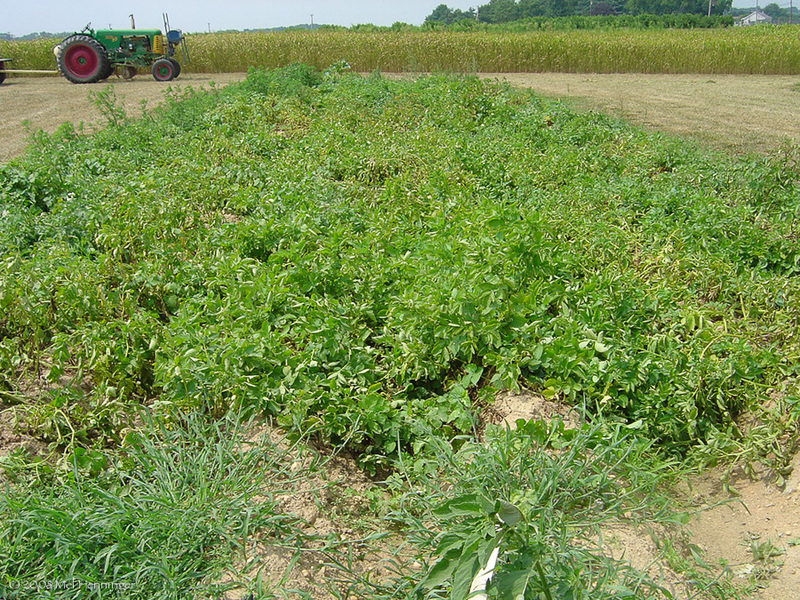 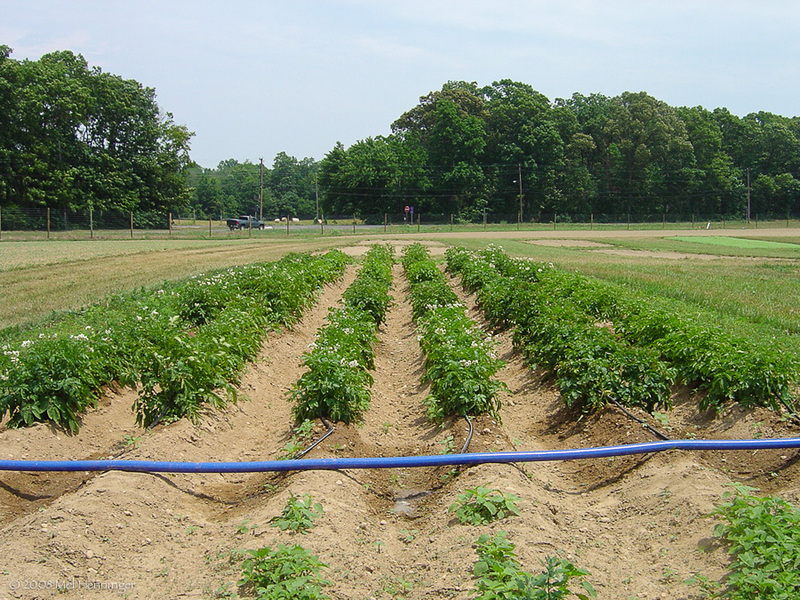 For organic production on NJ’s Coastal Plain soils, our studies show significant increase in marketable yields over bare ground and black plastic production; surprisingly, shredded leaf mulch application yields approached those of our conventional bare ground plots. 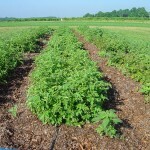 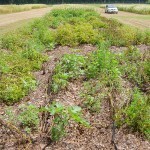 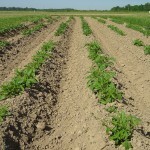 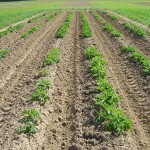 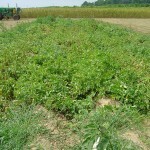 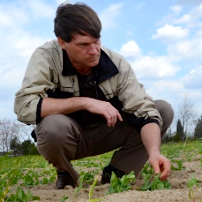 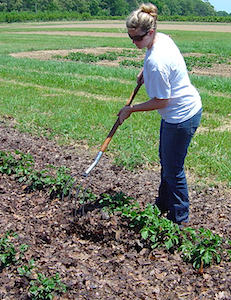 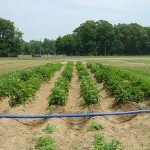 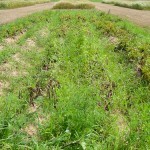 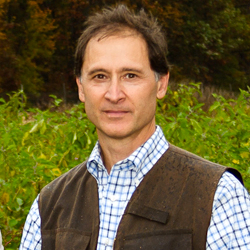 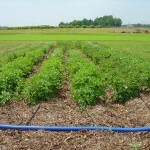 This report on field demonstrations conducted by potato expert Dr. Mel Henninger and Agricultural Agent David Lee, documents varieties studied and growing practices used with the aim of assisting Coastal Plains growers who wish to capitalize on the niche of local market, organic labeled potatoes. 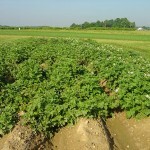 In the full report, trials are evaluated and variety recommendations are given. 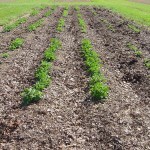 Of the growing practices tested, shredded leaf mulch produced the best outcome. 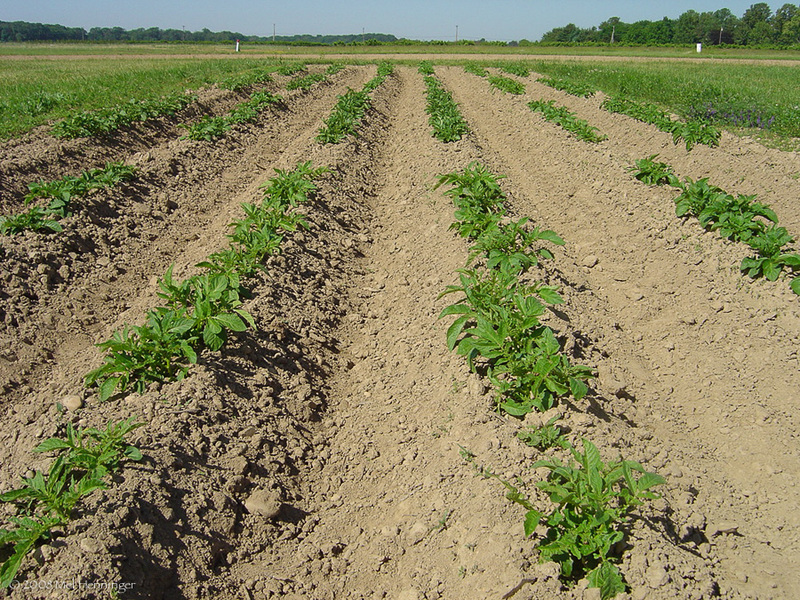 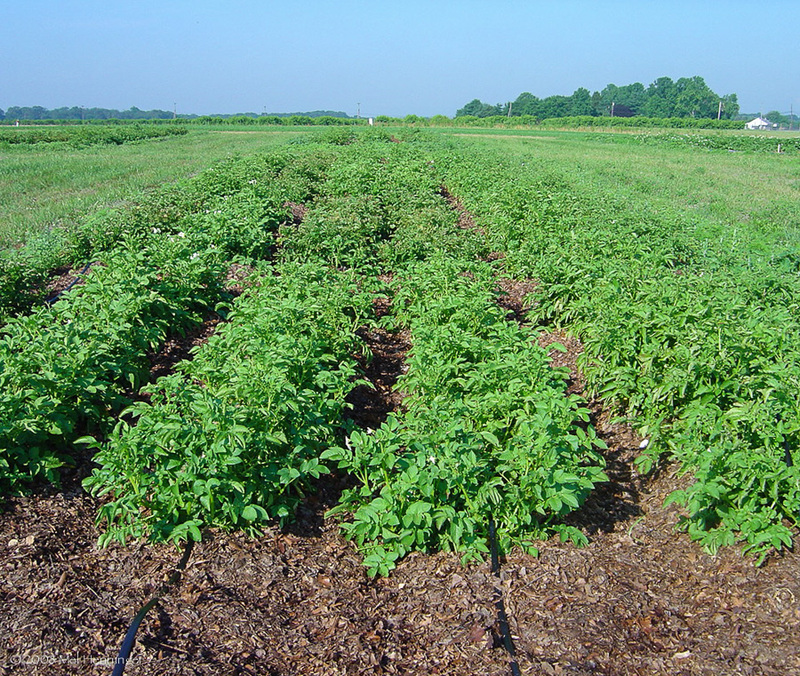 Recommended potato varieties for NJ Coastal Plains soils, under organic conditions include: Superior, Blazer Russet, and Dark Red Norland. 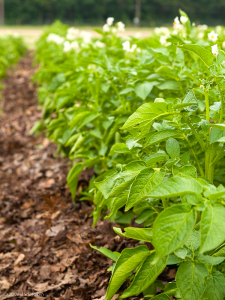 Potato Varieties: A Comprehensive List Descriptions of specialty potatoes compiled by the Potato Research Group at Washington State University. 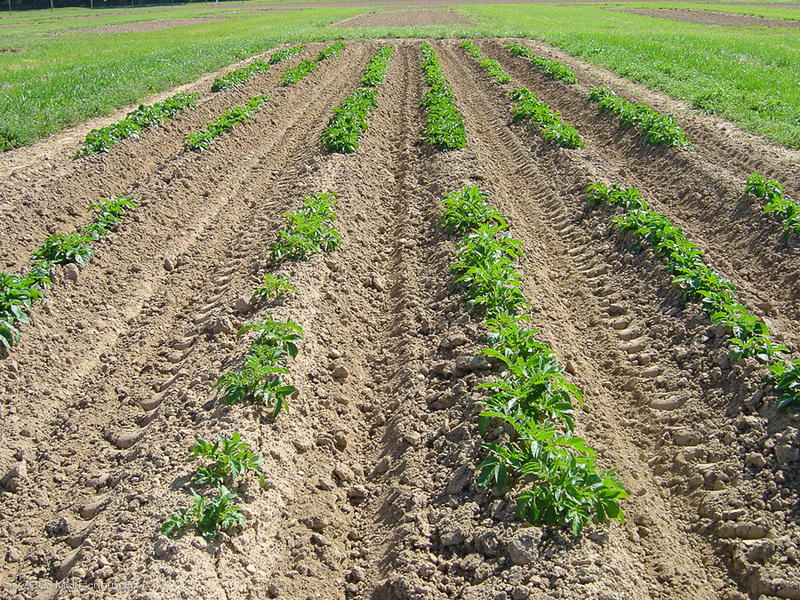 Organic Potato Production Guide (2.8 MB), Cornell University 2014 An in-depth guide to growing organic potatoes. 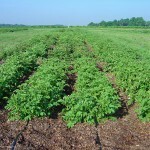 Offers comprehensive recommendations for managing pests and diseases that threaten potatoes in organic growing systems. 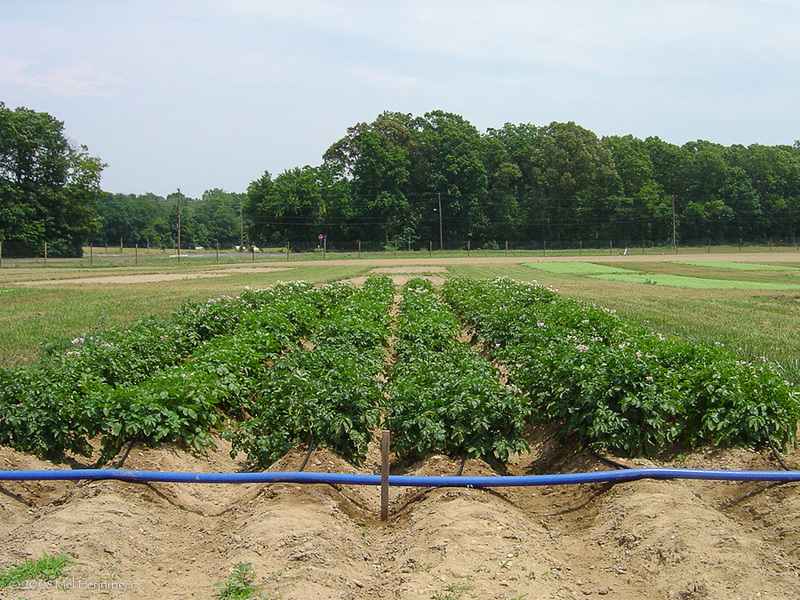 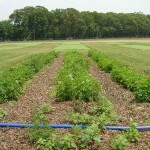 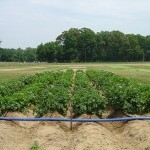 Rutgers Commercial Vegetable Production Recommendations, Potato Section Comprehensive, current information including pest management for NJ commercial growers. 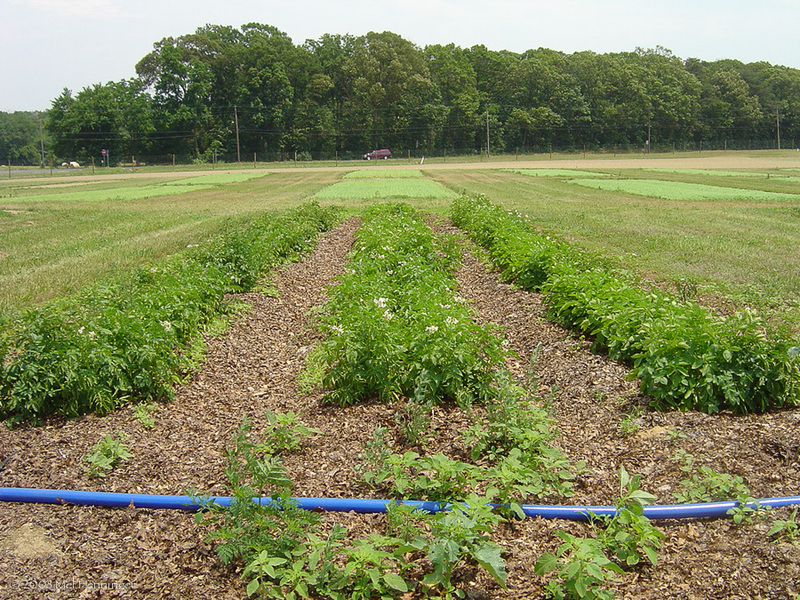 Improving Coastal Plain Soils with Municipal-collected Leaves Profile of NJ grower Bob Muth who uses leaf mulch to improve soil and increase profits. 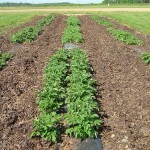 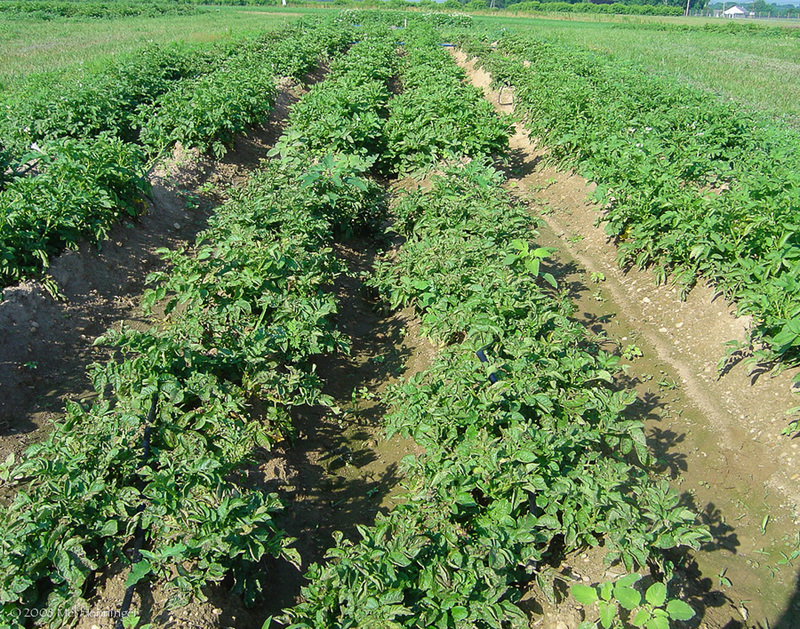 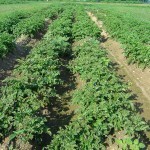 Organic Potato Project Information from University of Wisconsin on certified seed potato availability, pest management, and cultural practices. 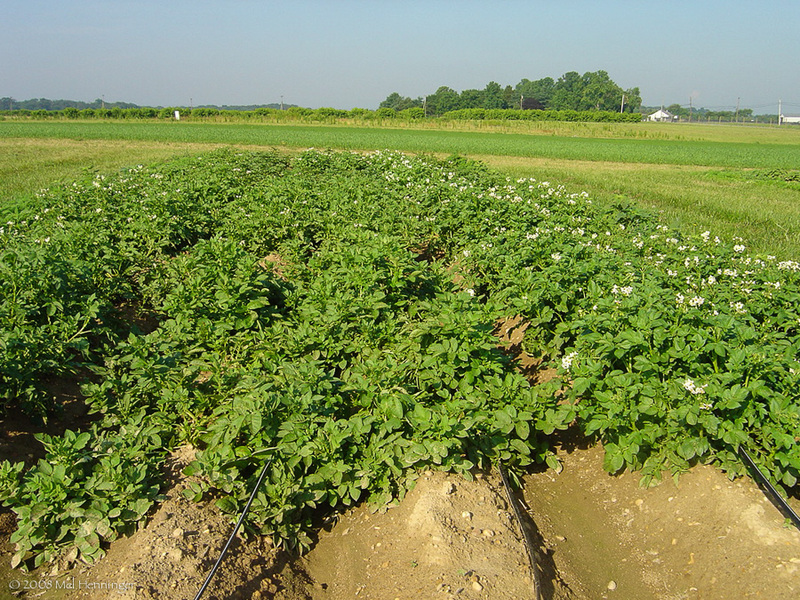 Growing Potatoes Using Plasticulture Penn State’s William Lamont, Jr. discusses early potato production utilizing plasticulture.